With support from its “Special Research Fund” (BOF), Ghent University wishes to support university research groups or research centres in developing countries in their aim to grow into excellent research centres by upgrading local academic personnel. Therefore Ghent University grants PhD scholarships to promising PhD students from developing countries who wish to carry out half of their PhD research at Ghent University and half in a university in a developing country. No restrictions are imposed on the field of research, nevertheless preference will be given to topics that are relevant for development. Relevance for development measures the degree in which the action of development corresponds with the expectations of the beneficiaries, the needs of the country, global priorities and the policies of partners and donors. These grants take the form of a so called “sandwich” scholarship: the candidate obtains a scholarship for 24 months to work within a span of 48 months on an alternating basis on the PhD at Ghent University and at the university or research centre in the country of origin of the candidate. Only for the periods the scholarship holder works at Ghent University the scholarship holder will receive a monthly income. The rest of the PhD research is done in the partner university, for which no funding is provided through this scholarship. The amount of the scholarship is approximately €1.710 per month for the part of the PhD done in Ghent. The Ghent University promoter also receives a bench fee of €15.440 to cover (part of) the operational costs, as well as the travelling costs of the student and both the Ghent University and the local promoter. The 24 months of the scholarship must be divided into several periods within a span of 4 years. In principle the scholarship holder starts the scholarship at Ghent University during a period of 3 to 9 months and ends the scholarship with a stay of at least 3 months at Ghent University to complete and defend the doctoral thesis. The grants are not renewable. These grants are meant to result in a PhD degree from Ghent University but whenever possible, a joint PhD degree between Ghent University and the partner university is encouraged. This program is limited to universities and research centers in developing countries (see list below) with which Ghent University is already cooperating or has cooperated in the last 5 years. It is the Ghent University promoter who has to present evidence of this cooperation. A signed cooperation agreement is no necessity at the moment of the application for the scholarship but will be required when the scholarship is granted. There must be a guarantee that the candidate will be able to work on the PhD project at the partner university. This implies that there must be a local PhD supervisor at the partner university or research center. Also a written statement is requested from that supervisor or the university authorities stating that the candidate is either a student or a staff member of this university and will be sufficiently exempted from teaching or other assignments as to be able to fully concentrate on the PhD research. This statement should also mention that the candidate receives/received a local scholarship or salary when working on the PhD in the candidate`s home institute. The applications for doctoral grants for candidates from developing countries are to be submitted in English. There are two types of scholarships: regular PhD grants (2 years) (type 1) and grants with a maximum duration of 1 year for students finalizing their PhD research at Ghent University (type 2). These grants take the form of a so called “sandwich” scholarship: the candidate obtains a scholarship for 24 months to work within a span of 48 months on an alternating basis on the PhD at Ghent University and at the university or research center in the country of origin of the candidate. The proposals must be submitted by a promoter at Ghent University (a professor who is willing to act as personal supervisor and who agrees to support the application) and a supervisor at the local institution. The candidate obtains a scholarship for 24 months which must be divided into several periods within a span of 4 years. In principle the scholarship holder starts the PhD scholarship research at Ghent University during a period of 3 to 9 months and ends the scholarship with a stay of at least 3 months at Ghent University to complete and defend the doctoral thesis. There must be a guarantee that the candidate will be able to work on the PhD project at the partner university. This implies that there must be a local PhD supervisor at the partner university or research center. Also a written statement is requested from that supervisor or the university authorities stating that the candidate is either a student or a staff member of this university and will be sufficiently exempted from teaching or other assignments as to be able to fully concentrate on the PhD research. This statement should also mention that the candidate receives/received a local scholarship or salary when working on the PhD in the home institute. The candidate applies to Ghent University jointly with a promoter of Ghent University and a supervisor at the local institution. The promoter at Ghent University has to fill in a separate document (`promoter`s advice`- only available in Dutch) with advice on the candidate, stating the promoter`s opinion on the potential of the candidate as a future researcher. the scientific/scholarly potential of the local institute. The candidate receives a “sandwich”type scholarship for a total of 24 months. Within a span of 48 months, the candidate needs to work on the PhD project both at Ghent University and the partner university. Only for the periods the scholarship holder works at Ghent University the scholarship holder will receive a monthly income. The rest of the PhD research is done in the partner university for which no funding is provided through this scholarship. The partner university has to provide a salary or local scholarship for the period the candidate works there. The value of the scholarship at Ghent University depends on, a.o., the researcher`s family situation and is approximately €1,700. The Ghent University promoter also receives a bench fee of €15.440 to cover (part of) the operational costs, as well as the travelling costs of the student and both the Ghent University and the local promoter. Deadline expired. New deadline expected March 2012. This type of grant is for PhD researchers who have already carried out a substantial part of their PhD research and who need maximum 1 year to finalize their PhD. Before applying for this grant candidates have to find a `promoter` (professor from Ghent University who will act as personal supervisor of the doctoral research) who agrees to support their application. To find a promotor please browse on our website click on “Faculties” to find contact information for each faculty. The grant can be either 6 or 12 months. Candidates who received a PhD scholarship from a funding agency (including universities) in Europe. 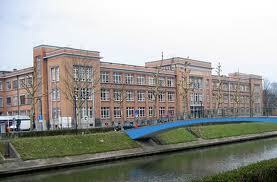 The candidate applies to Ghent University jointly with a promoter of Ghent University. The promoter has to fill in a separate document (`promoter`s advice`- only available in Dutch) with advice on the candidate, stating the promoter`s opinion on the potential of the candidate as a future researcher. The Research Council makes a selection of the applications based in part on the recommendations obtained from members of the Council for Development Cooperation. The value of the scholarship depends on, a.o., the researcher`s family situation. The monthly allowance is approximately € 1,700. The promoter receives a bench fee of € 310 per month. Demikian kami sampaikan tentang 2012 PhD Scholarships for Developing Countries at Ghent University semoga informasi tentang 2012 PhD Scholarships for Developing Countries at Ghent University ini bermanfaat.